BEST WESTERN PREMIER BHR Treviso Hotel is a contemporary building, conveniently located a few minutes from the old town and just 2 km away from Canova Treviso Airport. Its sophisticated international style embraces its guests with the bright colours of the local joie-de-vivre. The hall is extremely spacious with a lounge area where guests can relax on comfortable chaise longue, sofas and armchairs, surrounded by mosaics and waterfalls. Relax – Hi-tech equipment and high-class touches. BEST WESTERN PREMIER BHR Treviso Hotel has 133 rooms with single or double beds and connecting rooms. All rooms are furnished with latest generation extra large beds, Sitwell Steifensand office chairs, wardrobe with laptop size safe, working desk (195 x 60 cm), LCD TV with satellite channels and pay-per-view, TV adapter, free Mediaset cable TV and Wi-Fi connection, bathroom with tub or shower, tea & coffee making facilities, air conditioning with individual controls and fire protection system with the highest level of safety internationally certified. Exclusivity – A unique stay in the excellence of Veneto hospitality. 18 suites are at our guests’ disposal, with parquet flooring or comfortable English wool carpeting, able to accommodate up to 4 people. Junior Suites, covering more than 50 sqm, are suitable for guests willing to combine the privacy of their bedroom with a meeting room. Suites have a number of extra amenities that make a guest’s stay memorable: bathrooms with Jacuzzi, shower and separate WC, wardrobe with laptop size safe and large working desk. The unique and panoramic 80 sqm Presidential Suite, located in the stunning penthouse with a panoramic view of the countryside, features a sleeping area with extra large bed, a lounge area with sofa bed and dining table and two large bathrooms with Jacuzzi, shower and separate WC. Pleasure – Pampering your body to revitalize your mind. What better way to unwind after a busy workday or a sightseeing of Treviso surroundings than in our relaxing well-equipped Wellness & Fitness Centre , located on the last floor, it offers a huge breathtaking panoramic view. It features Technogym training equipment, Jacuzzi bath, Finnish sauna, Turkish bath, aroma-chromo therapeutic showers and relaxation area. Massages are available upon request. 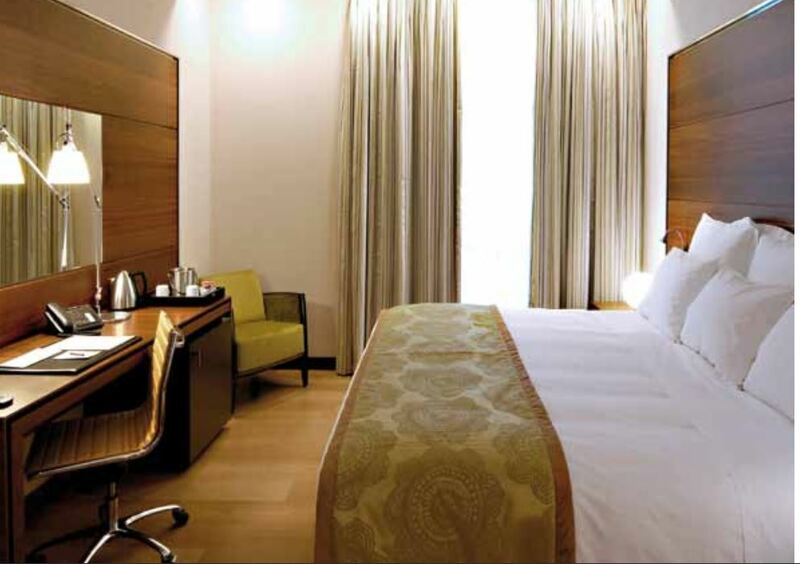 Business – Your office in our rooms. Business guests can enjoy interesting and useful services. Every room is endowed with Wi-Fi and Adsl connection and teleadapter to connect their personal computer or video camera to the LCD TV screen. Our hotel is endowed with several meeting rooms with exclusive or shared offices (co-working) , Junior Suites and Presidential Suite able to host work meetings. 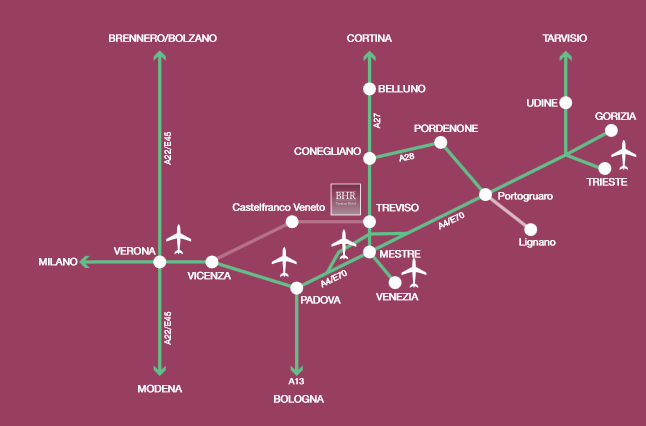 Our guests can also use the shuttle service to Treviso city centre and Canova Treviso Airport and take advantage of room service, quick check-in and late check-out. After a hard day’s work, guests can finally relax in the Wellness & Fitness Centre. Tasting – Delicious Italian flavours. 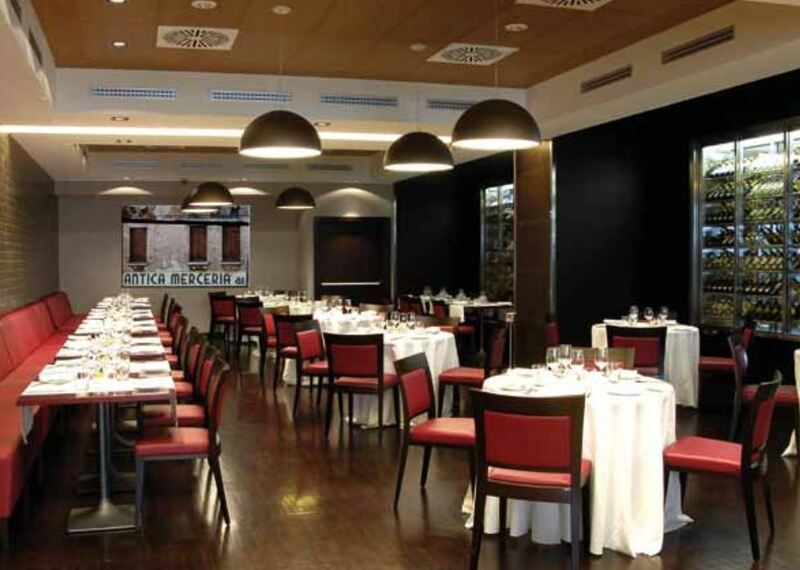 DiVino Osteria Trevigiana is our hotel restaurant with 100 seats, featuring a unique design which recalls the colours of our region to enhance the use of local products in our menus. A spectacular display of wine bottles astonishes good wine lovers. As the name itself states, its cuisine offers the local tradition flavour together with international dishes and a renowned wine list. Our Chef creates menus conceived for food intolerance or diet issues, also available for take-away and catering services, by choosing locally reared and locally grown ingredients. Enjoy – “La Dolce Vita” in the Prosecco wine land. 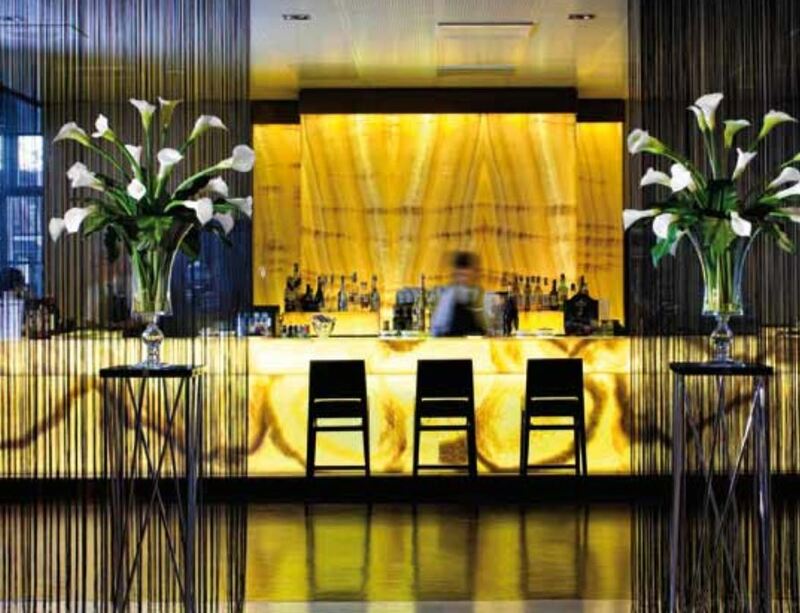 Gioja Lounge Bar, with its wonderful backlit onyx counter, is the fashionable meeting point for both hotel guests and Treviso inhabitants. During the day, from a welcoming and elegant coffee bar it turns into a tempting bar, in which to enjoy snacks, salads and first courses surfing the internet with Wi-Fi connection. In the evening Gioja is a lounge bar with good music in which to enjoy a glass of Prosecco wine on comfortable sofas and chaise longue. Meeting – 1300 seats, all at front row! 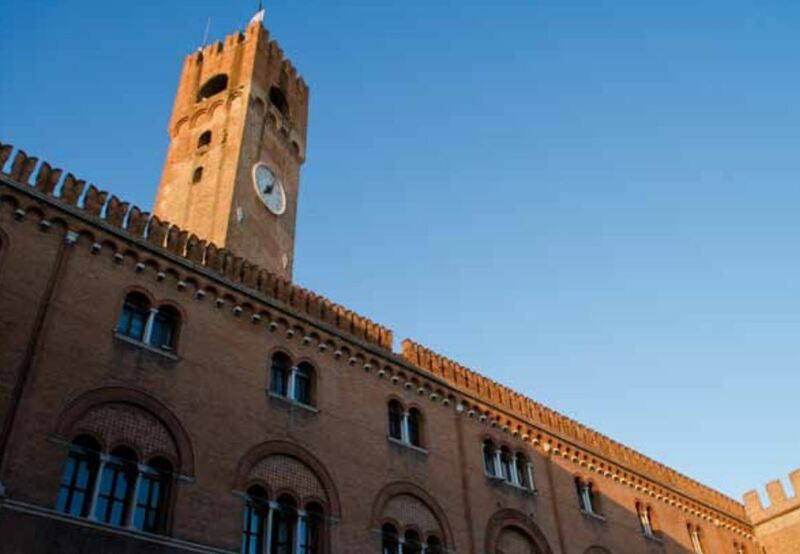 With a surface of more than 1200 sqm, the Congress Centre of BEST WESTERN PREMIER BHR Treviso Hotel is the most sought-after, premier conference centre in Treviso. Its 500-seat room on the first floor and the large room for 600 people on the ground floor are the jewels in the crown of this complex. The daylit 13 modular function rooms are equipped with the latest state-of-the-art AV facilities and can be connected to each other for video conferences via the central control room. For big events the hotel offers CCTV-monitored garage and outdoor car park for more than 600 vehicles. Our hotel is also specialized in organizing social events. Thanks to the huge daylit Veneto Banqueting Room with its own separate entrance and its foyer with hospitality desk and cloakroom, our hotel is the ideal venue for banquets, receptions, private lunches or business dinners. 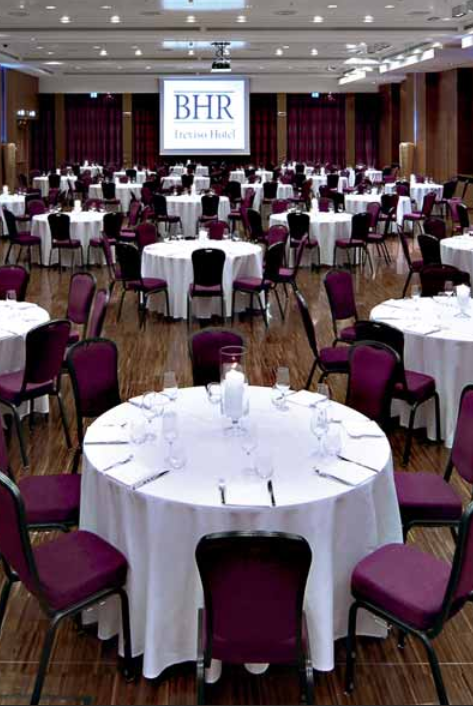 It can host up to 500 seated guests or over 1000 standing guests for cocktails. In warm weather, a large outdoor terrace is available for cocktails and buffets, exhibitions and product presentations. The restaurant staff organizes catering services for gala dinner in prestigious location, also outside the hotel. More than comfort – Details and excellent service. BEST WESTERN PREMIER BHR Treviso Hotel offers its guests a wide range of services. Kinder House is a funny and safe environment for children thanks to its small bathroom fittings and changing table. Moreover we offer high chairs at the restaurant, cot and bottle warmer in the rooms, baby-sitting service upon request and parking lots for pregnant mums. Room Service . Our guests can taste local dishes in their room thanks to the room service. They can find the restaurant menu available every day in their rooms. Pet Friendly Hotel . Our hotel is happy to welcome our guests’ pets. At our guests’ disposal there are food and water bowls, beds for dogs and cats, litter tray with sand and hygienic bags. More than comfort …and much more. BEST WESTERN PREMIER BHR Treviso Hotel offers a wide range of beauty treatments, meeting all needs, and makes you feel relaxed and comfortable like at home. Available upon request, massages are guaranteed by professional masseurs. The hotel has an outdoor car park and CCTV-monitored garage with more than 600 parking spaces and shuttle service to the city centre and Canova Treviso airport. Rider & Biker Friendly Hotel . In order to meet the needs of bikers and riders, our hotel offers a washing station, a wipe down towel and a can holder for riders upon arrival. Treviso e la Marca Gioiosa – Treviso joie de vivre in a luxury hotel. Treviso is a town where art, culture and joie de vivre triumph. Its old town is a gem of medieval and Renaissance architecture where international exhibitions or concerts take place. Treviso inhabitants usually meet in the typical “osteria” to have an aperitif or an after-dinner drink. Shopping in town is exciting. The creative and sparkling beating heart of Treviso is perfectly recreated at BEST WESTERN PREMIER BHR Treviso Hotel, where guests are welcomed with the same liveliness and joy that have earned the town the renowned epithet “gioiosa et amorosa” (“joyous and loving”). Tutti i colori del cuore – Veneto, an exciting land rich in history and culture. Treviso and its surroundings are renowned for their warm and sparkling welcome with thousand years of history and breathtaking sceneries. The north offers the sensational hills of Prosecco vineyards and Cortina d’Ampezzo , the jewel of the Dolomites; the east boasts the Roman remains of the small town of Oderzo and the ancient river landing place of Portobuffolè; the Palladian villas and the fortified towns of Castelfranco Veneto and Asolo are the gems of the west together with the Canova Plaster Cast Gallery in Possagno; heading south visitors can admire the Renaissance houses of the Venetian nobles along Terraglio, the road leading to Venice , unique city for its eternal beauty, half an hour from our hote.